Bristol Bears will take a young squad to the Premiership Rugby 7s, as Franklin’s Gardens plays host to the tournament on July 27 and 28. Reiss Cullen skippers the 12-man outfit that includes a host of exciting Academy talent. Matt Welsh, Ehize Ehizode, Jack Capon and Dan Thurston are all selected, while new Academy recruit Sam Cappaert will make his first outing in a Bears jersey. International U18 trio Blake Boyland (England), Ioan Lloyd (Wales) and Nathan Chamberlain (Scotland) are named in the squad, while Mike Uren, Lailand Gordon and Durham University’s George Harding are also listed. All 12 Premiership Rugby sides face over the Friday evening and Saturday, with Bristol Bears opening the tournament against Sale Sharks at 5.30pm, before playing Harlequins at 7pm. After the pools are completed on Friday evening, Saturday’s matches will start at 2.30pmand see the top eight ranked teams contest the Cup quarter-finals. Meanwhile, the remaining four sides will head into the Plate semi-finals as they bid to lift some early-season silverware before the tournament concludes at 6.45pm. Academy backs coach Sean Marsden said: “With our first team squad being away on an intensive warm weather training camp in Portugal, this is a fantastic opportunity for a young group of talented players to represent Bristol Bears. 1. Matt Welsh – A member of the Bristol Bears Academy, Matt Welsh is in his second year with the club, having graduated through the ranks. The powerful back represented Durham University in the BUCS Super League in 2017/18. 2. Jack Capon – Back rower Jack Capon is a member of the Bristol Bears Academy. The Exeter University student – who came through the age groups at the club – made his senior debut on the final day of Bristol’s Greene King IPA Championship title winning campaign. 3. Mike Uren – Versatile forward Mike Uren is set to run out in his second Premiership Sevens tournament this weekend, having represented Bristol in 2016 at Sandy Park. The Bristolian, whose two brothers have both played professionally for the club, has featured for Bristol in the A-League (now known as the Premiership Rugby Shield). 4. Reiss Cullen (c) – Reiss Cullen skippers the squad for the 2018 competition. The only senior member of the Bears squad included, scrum half Cullen is in his second year in the West Country, having joined from Watsonians. 5. Ioan Lloyd – Centre Ioan Lloyd burst onto the scene in the U18s League last season with a string of impressive performances. The hugely talented midfielder – who studied at Clifton College – earned international recognition with Wales U18s. 6. Nathan Chamberlain – Nathan Chamberlain came through the ranks of the Academy and agreed professional terms at the beginning of the season, while also studying at Hartpury University. The fly half represented Scotland U18s last season as well as Bristol Academy in the U18s League. 7. Lailand Gordon – Former Bristol Academy winger Lailand Gordon came through the ranks at the club, before spending two seasons in the England Sevens Academy. The speedster studied at SGS College in Filton, Bristol. 8. George Harding – Sedbergh product George Harding is set for his first outing in Bristol Bears colours on Friday evening. The Durham University student played a central role in the BUCS Sevens success, while also representing England Students Sevens. 9. Ehize Ehizode – Ehize Ehizode joined the Academy at the beginning of the 2017/18 campaign. The rangy lock arrived from Wasps, where he represented the Coventry-based outfit in the Anglo-Welsh Cup. 10. Dan Thurston – Back rower Dan Thurston came through the age groups, before agreeing professional terms with the Academy ahead of the 2017/18 campaign. The Bristolian studies at Cardiff Metropolitan University. 11. Blake Boyland – Bristol Academy U18 scrum half Blake Boyland came through the age groups at the club. The SGS Filton man made his international debut for England U18s during an impressive 2017/18 campaign. 12. 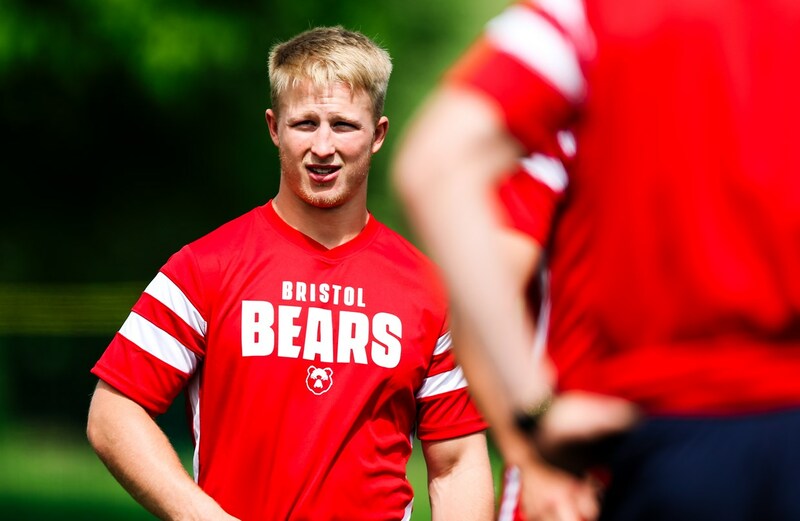 Sam Cappaert – Versatile back Sam Cappaert joined Bristol Bears Academy in the summer of 2018. The former Northampton Saints Academy fly half – who was born in Essex – represented Bristol in the A-League last season. Another coach has made a surprise exit from Harlequins!